Sydney will play host to numerous Events and Conventions in Sydney, Australia's premier Harbour City. REDY2GO is ready to help your business and its delegates to and from your convention venues! We help executive travelers in Sydney and around Australia with a variety of Airport Shuttle, Point to Point, Charter Bus and Ground Transportation Solutions. Our people movers are business movers that accelerate your company forward. REDY2GO offers Airport to Hotel Shuttles as well as Convention Centre Shuttle Bus Transfers! REDY2GO also offers Private Car services and has three options for your car service needs. Economy Class Sedan A Car service that is an UBER-alternative to a taxi. First Class Sedans REDY2GO's FIRST CLASS and most luxurious transport option - the Chauffeur Driven Service. We also offer SUV, 6-Passenger Multi Purpose Mini-Vans, 11 Passenger Mini-buses as well as larger coaches that can seat up to 54 passengers comfortably. We make sure your ground transport is organised ensuring you are never late for a convention, trade show, or business meeting. We are able to offer Shuttles at your disposal dedicated to your convention transferring your attendees and delegates to and from the Venue or Hotel. Book your next convention centre car service with REDY2GO! Below is a list of some upcoming events. REDY2GO's can help you to and from any of these events! 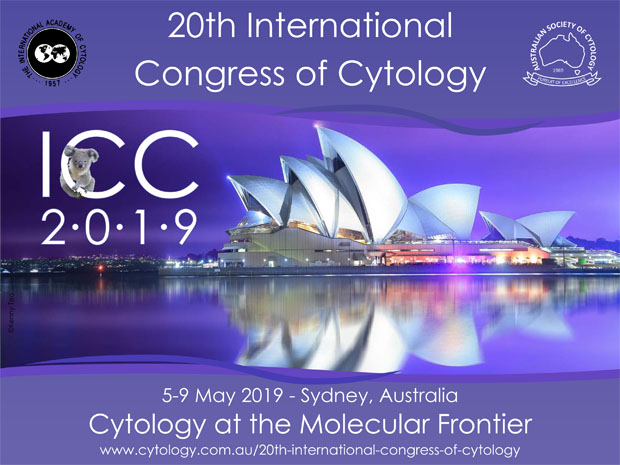 About: The International Academy of Cytology and the Australian Society of Cytology are delighted to invite you to attend the 2019 International Congress. The theme of Cytology at the Molecular Frontier will bring together international experts to share their knowledge. The sensational new convention centre at Darling Harbour is a wonderful location for the congress. With not only sensational views over the harbour but the very latest technologies available and accessible on foot or by public transport this meeting place next to the water is surrounded by restaurants and hotels of all categories. Concierge Travel Group is the exclusive travel provider for all accommodation and unique experiences that Sydney has to offer during your visit. Their dedicated team of travel advisers will assist you with not only your conference accommodation; but also any day tours or extensions of your time in Sydney. In addition they have also created exclusive packages for your Australian extended holidays and the South Pacific. This is Cytology's biggest event of 2019 and you do not want to miss it! We welcome Cytology Congress Members from far and near to our beautiful City of Sydney and we look forward to being of service to you. About: Join doTERRA Australia and New Zealand's at their Convention Friday 17- Saturday 18 May 2019. The 2019 doTERRA AU/NZ Dream Convention will remind you that no dream is too big or too small. Come to find out more about essential oils, to be inspired, and to discover how you can make a difference and impact lives for good. You will have the opportunity to hear from some of doTERRA’s most influential Corporate Staff, Top Leaders and Special Guests. Network with like-minded essential oil lovers, gain new product knowledge, and experience our brand new Product Showcase! This is doTERRA Australia and New Zealand’s biggest event of 2019 and you do not want to miss it! Purchase your tickets and come dream with us! About: The International Neuromodulation Society's 14th World Congress will be held on the 25th - 30 May 2019. The International Neuromodulation Society (INS) is a nonprofit group of clinicians, scientists and engineers dedicated to the scientific development and awareness of neuromodulation – the alteration of nerve activity through the delivery of electrical stimulation or chemical agents to targeted sites of the body. Founded in 1989 and based in San Francisco, CA, the INS educates and promotes the field through meetings, its MEDLINE-indexed, peer-reviewed journal Neuromodulation: Technology at the Neural Interface, and chapter websites. #INS2019 is a global, biennial scientific meeting for medical specialists in neuromodulation therapy; researchers studying the scientific underpinnings of traumatic injuries or degenerative conditions like chronic pain, movement disorder, and other difficult-to-treat conditions; and biomedical device engineers. With enthusiastic support from The Neuromodulation Society of Australia and New Zealand, our local host chapter who is very excited to welcome all members and delegates, we assure you this is an event not to be missed and we invite you to Save the Date! If you’re looking for something to do in Sydney or a way to get there, let REDY2GO Airport Shuttle help. Book a theme park car hire in Sydney to any amusement park, water park or nearby attraction. We also provide festival shuttles throughout Sydney.